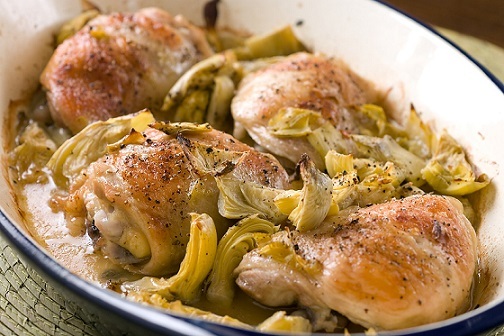 This Artichoke Chicken Saute ...a delicious gift. This restaurant recipe for a chicken sauté was given to me by one of the chefs who I worked with for over a year and a half. It became a major seller for the restaurant. It is another favorite restaurant chicken recipe. The chef who shared this recipe was one of the most interesting persons I have ever met. His story could easily be the subject of an entire book, maybe several books. The subject of this page, however, is his favorite restaurant chicken recipe. Preparation time: 10-15 minutes. Serves 2. Rice, potatoes or pasta are delicious with this restaurant chicken recipe. 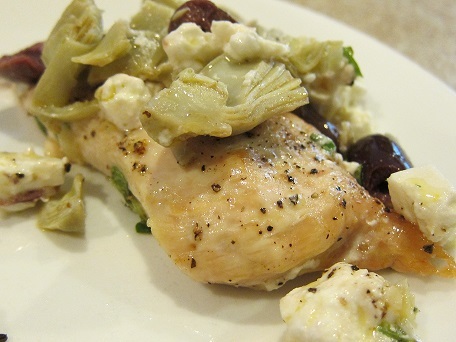 And consider serving one of the fabulous salads on the website with this chicken recipe. Enjoy this restaurant recipe for your chicken saute and the company of those you share it with. "Food should start cooking the moment it hits the pan, not gradually while the pan warms." "Eating an artichoke is like getting to know someone really well."